When looking for ideas for new blog-posts, I often pay attention to the kinds of questions that people are asking in the Bogota Facebook groups. I’ve noticed that people often ask about coworking spaces in Bogota. So, I decided to go through the recommendations and do a bit of my own research, and I’ve put together a list of all the ones I could find below. I can’t vouch for them as I haven’t tried them myself, but coworker.com offers some free day-passes for a few of them. Why not take advantage and find out which place suits you best? Click on each name to visit their website and find out more about what each place offers. Apart from visiting each one to get a feel for the place, here are some other things to consider. 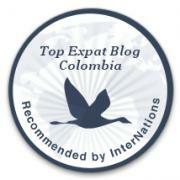 As traffic is such a problem in Bogota, I would recommend choosing a place that is close to where you live, or that is easy to reach by TransMilenio. Some coworking spaces offer meeting room hire, so think about whether this would be useful. You can also ask questions about internet speed and reliability. Personally, I have found internet availability and speeds tend to be worse in downtown Bogota/the Candelaria. Some places offer the option of renting by the day, week or month, and some only offer monthly plans. If you know you’ll need the space long-term, see if you can negotiate a lower price. I’ve mentioned the neighborhoods where each of these coworking spaces are located. Just a couple of observations: a lot of students, expats and start-ups base themselves in the Chapinero Norte/Chapinero Alto area, as well as the swankier and more expensive areas of Chicó and Rosales. If you visit any of the places on this list, please let readers what you think in the comments section below! Have you worked in any of these coworking spaces in Bogota? Would you recommend them? Do you work somewhere else that isn’t mentioned? Do you have a favorite café in Bogota with reliable wi-fi that you like working in? Check out Cafe Del Eje Calle 109 #15-28 for working! Free reliable fast WiFi, excellent coffee, and attentive non-pushy staff. Tranquil environment. Electric plugs at EVERY seat. Large work table seats 10. Smaller tables for 2-4 people. Perfect for small group meetings too. Thanks for the recommendation Ada! Thanks for the suggestions Maria!